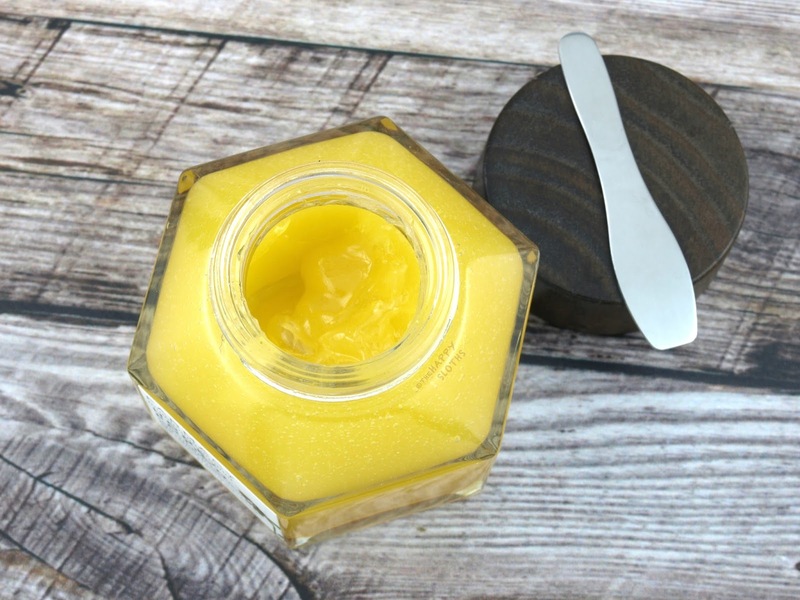 Housed in an 117g glass jar shaped like a honeycomb, the Honey Potion mask comes with a convenient metal spatula that's magnetically stuck to the lid of the jar. I usually use a simple synthetic makeup brush to apply my masks but because the mouth of the Honey Potion jar is so small, the only way to really dig up the product is by using the little spatula. I can see this being a bit troublesome once the mask is near finished but the overall packaging is very simple and aesthetically-pleasing. 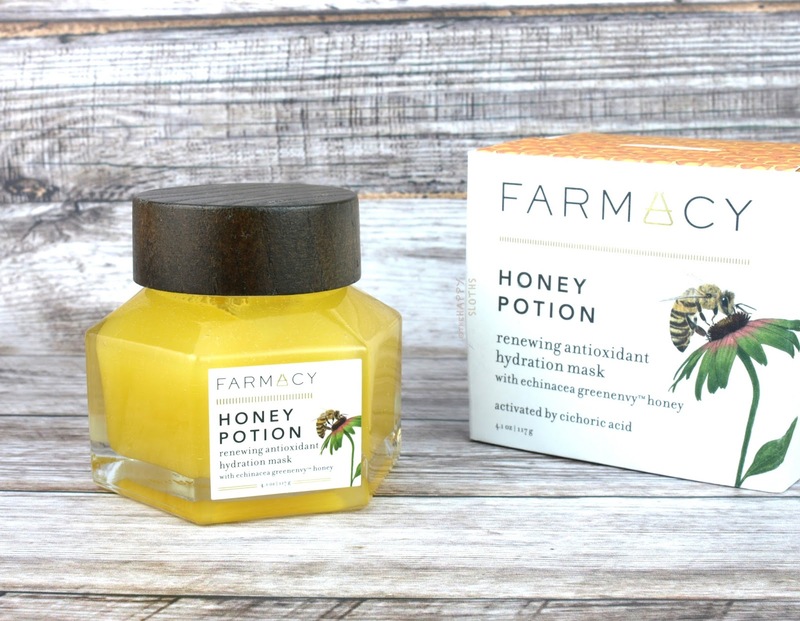 Also, all Farmacy products come packaged in a very elaborately-designed cardboard wrapping that's unfortunately too hard to capture in photos. However, if you ever purchase a Farmacy product, you will definitely be impressed with the amount of work put into the packaging details. Made with Echinacea GreenEnvy honey, royal jelly, vitamin B, and glycerin, this mask is high in antioxidants that moisturize, smooth, and purify. With a very soft natural fragrance, the product contains no artificial fragrances or added coloring. The mask is thick and slightly tacky as you first spread it onto the face but once it's massaged into the skin, it becomes rich and creamy while the clear honey texture turns milky yellow. Farmacy calls this a warming massage mask and it indeed warms up noticeably to provide a bit of extra relaxation and pampering. The mask wasn't tingling or irritating but I did experience a strong stingy sensation when I washed it away with a wet towel and warm water. With that said, the discomfort went away pretty quickly and I experienced no redness. After use, my skin felt super soft and refreshed, with no stickiness or greasy residues. The mask was nourishing, hydrating, and very effective. With some masks I don't really see a big difference after removal, but with the Honey Potion Renewing Antioxidant Hydration Mask I was very impressed! 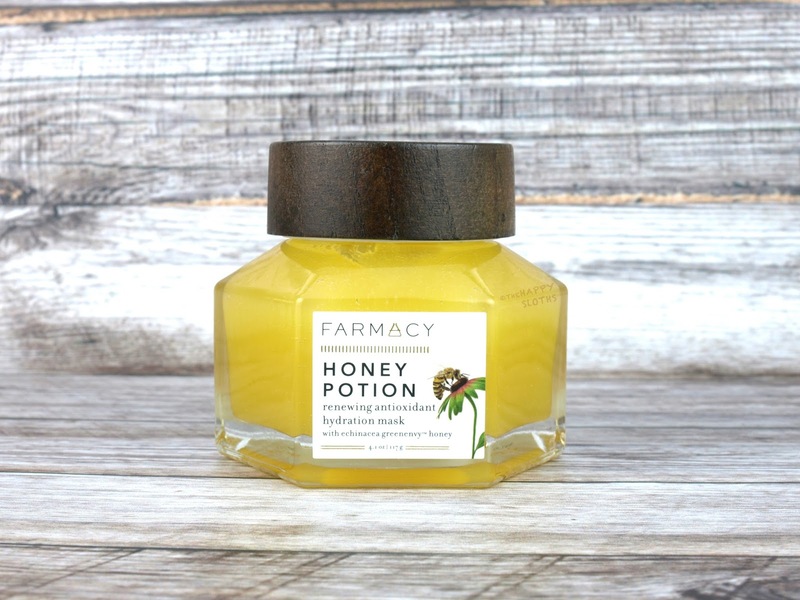 If you love a luxurious warming mask that truly pampers the skin, I highly recommend checking out the Farmacy Honey Potion Mask!